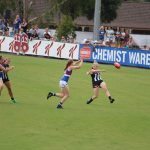 A COMPETITION-topping number of draftees and a five-game winning streak to finish the year, it’s fair to say the Greater Western Victoria (GWV) Rebels ran out the second TAC Cup Girls season strongly. 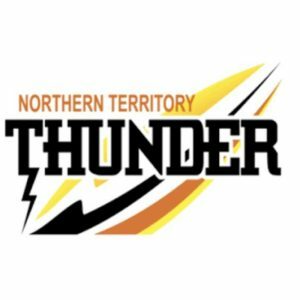 The Rebels’ Female Talent Manager, Krista Woodroffe said considering the side’s reduced contact hours compared to other clubs in the competition, she was pleased with how well they bonded and gelled towards the end of the season. 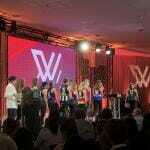 Woodroffe praised the four girls drafted into the AFL Women’s competition – Georgia Clarke, Sophie Van De Heuvel, Rene Caris and Lauren Butler – for their dedication to themselves and the team. While the girls had strong indication they would be drafted on draft day, Woodroffe said the club had tempered expectations because of the nature of the draft system. 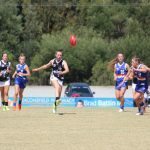 Woodroffe was also pleased the drafted players chose to test themselves at a higher level in the Victorian Football League (VFL) Women’s competition following the conclusion of the TAC Cup and AFL Women’s competition. The team seems to be more prepared for season 2019’s opening match this weekend compared to 12 months earlier, and Woodroffe hopes this might spark a change of fortune. Sophie Molan has emerged as one of the Rebels’ top draft prospects in 2019, and Woodroffe said the club is keen to build on her already strong development. 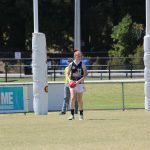 Another player to keep an eye on in season 2019 is Ella Wood. The midfielder/forward is a smart and classy user in the forward half and while her season was ended prematurely due to a shoulder injury, she is fit and ready to go for Round 1. The Rebels are a different looking side to 12 months earlier, but Woodroffe believes the players are as fit as ever and have bought into the off-season training regime. Woodroffe said while the group might be different, the coaching philosophy remained the same – work to the players’ strengths and give them the best opportunity to get drafted. The Rebels head into the season with one pre-season match under their belt, playing off against the Falcons in scorching heat – perfect for the game on the weekend where they will face similarly high temperatures. Woodroffe said it was a good hitout against the reigning premiers who are considered the “benchmark” of the competition. Woodroffe said while the Rebels want to start the season stronger and win more games overall, the ultimate goal was individual development to try and assist as many players as possible get as far as they could in their football careers. GWV Rebels take on Bendigo Pioneers on Saturday at RAMS Arena in the opening round of the Under 18 Girls season. 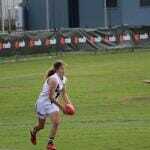 REBECCA Webster first joined TAC Cup Girls side, the Murray Bushrangers as a 14 year-old. At that point in time, Webster admits the opportunity to play in a nationwide female Australian Rules competition was looking unlikely. But four years later, the 18 year-old is living out her dream; drafted by Geelong at pick seven. The occasion was even more special for Webster, as she had turned 18 the day before she got drafted, prompting a perfect birthday present. Before draft day though, Webster had contact with the Cats and says they were very engaging when trying to get her to the club. Webster joins the club alongside fellow Vic Country representatives such as Nina Morrison, Sophie Van De Heuvel and Georgia Clarke. She knows all these players well and looks forward to continuing her football journey with them. Representing Vic Country over the years has been a valuable experience for Webster, who has modelled her game off one particular teammate who is now on an AFL Women’s list. 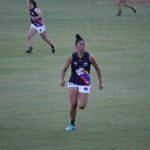 “I think I’m quite an individual but I’d love to think that I play kind of like Darcy Guttridge, she’s quite an attacking half-back player,” she said. Like many up and coming players do, Webster also has some football idols. While Webster’s admired female footballer is a common admired name, she looks up to one of the more interesting characters of the men’s game. Webster spent some time this year with Melbourne University. While it was a big step-up, she says it was a valuable experience. “The step was more so body size to get used to but other than that, I really enjoyed it and thought I fitted in pretty well,” Webster said. The midfielder/ defender had to balance this along with playing in other teams, going to school and working. This can be a stressful prospect for anyone, but Webster admits she learnt how to juggle these commitments through football. Now looking ahead to 2019, Webster hopes to use these lessons at her new AFL Women’s club. She also hopes to utilise her strengths in her game to make the most of her time at the Cats. 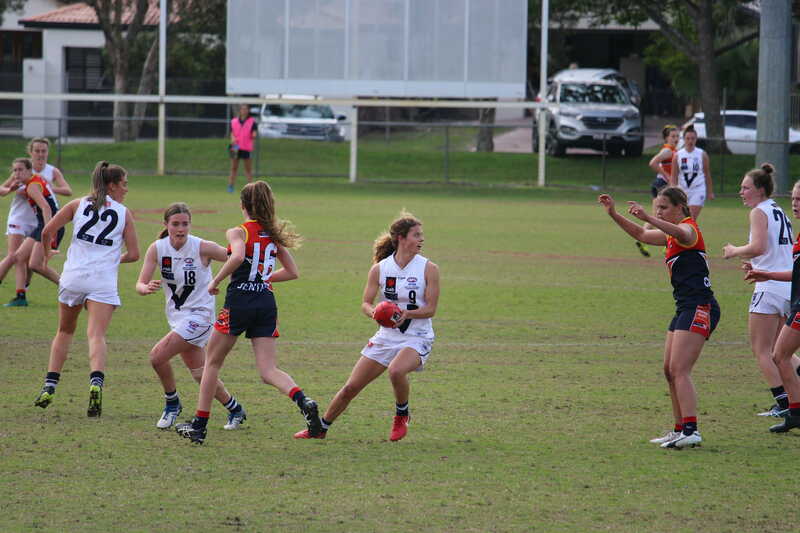 NEW Geelong Cats draftee, Sophie Van De Heuvel is not only a promising footballer. The 18 year-old is also handy with the bat in hand, representing Victoria in cricket this year. Playing under Jess Duffin at Williamstown, who plays in the Women’s Big Bash League (WBBL) for the Melbourne Renegades, has inspired Van De Heuvel to continue to juggle both sports in 2019. She is also honoured to have the chance at representing an elite club at the highest level of competition for both football and cricket. Van De Heuvel reflects on the current players juggling both sports at an elite level. But above that, Van De Heuvel is ecstatic to be playing at the Cats in the 2019 AFL Women’s competition. Van De Heuvel’s name was called out after Nina Morrison’s at the AFL Women’s Draft, and the Vic Country representative is excited about playing alongside Morrison in the blue and white hoops. The Greater Western Victoria (GWV) Rebels forward was also joined at Geelong by Rebels defender, Georgia Clarke. The pair have played together all year in the TAC Cup Girls competition and are both a part of the AFL Women’s Academy. Van De Heuvel is looking forward to continuing her football journey alongside Clarke. 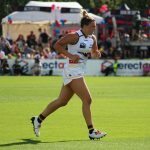 “Georgia’s an amazing girl and amazing player so to be drafted with her and playing at the same club is an amazing feeling,” she said. 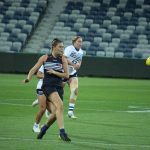 Van De Heuvel still lives in Ballarat at the moment, but is looking to make the move over to Geelong ahead of her berth in the AFL Women’s competition next year.